Much of the news reporting on Canada’s aboriginal community highlights the challenges indigenous people face: violence, barriers to receiving decent education, high crime rates, unfairness in the justice system and the disproportionate numbers of aboriginal people in Canadian jails are only a few examples. But then along came Idle No More, an ongoing grassroots movement led by Canada’s First Nations, Métis and Inuit to defend treaty rights and demand respect from Ottawa. It showed that aboriginal voices can be united, loud and political, not to mention a unifying force for young members of these various communities. The aboriginal population is the fastest growing demographic in Canada, increasing by 20 per cent since 2006 to 1.4 million, or about 4.3 per cent of Canada’s population, according to Statistics Canada’s 2011 National Household Survey. And more than half of the indigenous community is under 30 years old. Gabrielle Scrimshaw is the first in her family to pursue and complete a post-secondary degree, and the first associate without an MBA degree in RBC’s competitive Graduate Leadership Program — a two-year work experience program in which employees rotate through the bank’s different lines of business, including product development, client management and research. 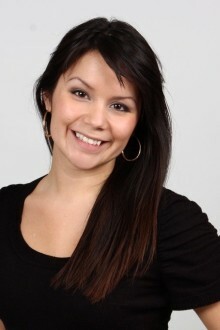 She’s also the co-founder of the Aboriginal Professional Association of Canada, the first organization of its kind. Before all the “firsts,” however, Scrimshaw faced challenges, including the move to Toronto from her First Nation community in Northern Saskatchewan. “It was definitely a pretty big jump and a pretty big leap of faith for me,” she said of the move, which meant leaving family, friends and community for a job opportunity in a field she had no experience in. (As a marketing student, Scrimshaw never imagined she’d end up working at a bank). 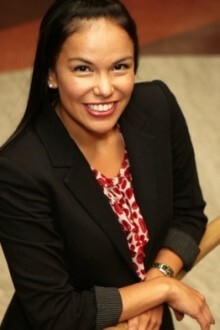 The Aboriginal Human Resource Council, an organization that recruits indigenous university students into first career posts, worked with RBC to get Scrimshaw a spot in their program. Never having worked for a large organization before — growing up she managed her father’s art gallery — Scrimshaw struggled at first with even small things like who to copy on email. “I had to climb up that learning curve,” she said. Scrimshaw also feared she would lose her indigenous culture after the move to Toronto. She wanted to connect with other indigenous professionals, but found no networks in the city. So she co-founded her own association in 2011 — a place for Aboriginal people to support each other professionally and culturally. She also wants the association to break down barriers and stereotypes by providing a way for non-Aboriginal Canadians to network with Aboriginal professionals. Scrimshaw’s association has 290 members representing First Nations, Metis and Inuit from across Canada, and membership in the association grows by 10 to 20 per cent each month, she said. The association has held five events, including networking sessions and a panel on Aboriginal leadership, and issues a monthly newsletter. Jarret Leaman is the first person from his Ontario reserve to receive a master’s degree. “One of my high school teachers, the director of my performing arts program, he had a master’s, so I was like, ‘Well, I want one,’” he said. For Leaman, getting a university degree was always part of the plan — his parents promoted higher education at home and his reserve had funds set aside for post-secondary studies. Leaman chose to study at Trent University in Peterborough, Ont. because of its indigenous programming and services. 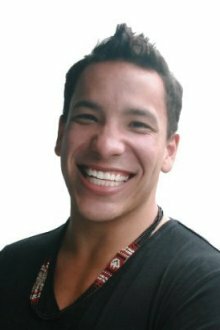 Leaman has since developed the recruitment strategy for aboriginal students at Queen’s University and helped build York University’s aboriginal student centre as Aboriginal relations liaison. He also expanded the Aboriginal Post-Secondary Information Program — an indigenous student recruitment body that runs an annual 13-week tour of colleges and universities in Ontario and Quebec — from seven to 25 postsecondary institutions. “I feel that a lot of our institutions have really sort of stepped up and offered courses and critical academic work that can really help indigenous students understand what actually happened in history, and then also provide them with a way to move forward to help positively affect the future,” he said. Tsilhqot'in First Nation, Redstone, B.C. Lisa Charleyboy’s online identity may be “urban native girl,” but she didn't always have a handle on her cultural identity. Growing up off-reserve in Abbotsford, B.C., she got to explore her traditions and native heritage through a professional writing program at York University. Before long, she had started a blog and began to meet members of the indigenous artist community in Toronto. “That community was really what got me sort of tapped into what was happening in Toronto and Canada and North America,” she said. 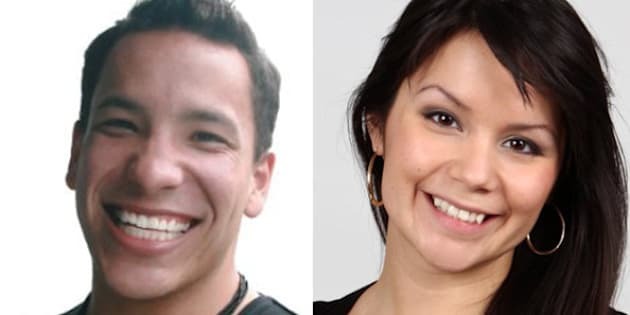 In Charleyboy’s view, aboriginals of her generation embrace their native identity and hope to preserve traditions, but this can be difficult when leaving post-secondary education for the workforce. Charleyboy said she chose to be a freelance journalist so that she has the flexibility to maintain ties to her First Nations culture out west. “I’m really hoping to take time each year to spend more time back on my home territory and to be able to learn ceremony, and learn language and learn tradition,” she said. CORRECTION: Magnetawan First Nation is just north of Parry Sound. An earlier version of this story used the wrong name for the community. This version has been updated. This feature was produced by Katrina Sieniuc, a student in Ryerson University's School of Journalism, in partnership with The Huffington Post Canada.